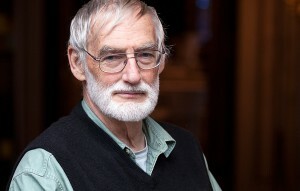 Dennis Meadows led the team at MIT whose computer simulations led to the publication of the top-selling environmental book of all time – The Limits to Growth. Scientists built on Jay Forester’s pioneering system dynamics work to chart future trends of five variables, analyzing how they would influence one another. The variables were world population, industrialization, pollution, food production and resource depletion. Their World3 computer model’s business-as-usual scenario did not paint a rosy picture, and many economists and industrialists criticized the study harshly. This interview with Dennis Meadows was recorded in 2009. It’s followed by a brief conversation with another team member, Jørgen Randers, offering observations on the 40th anniversary of the landmark report, in 2012. The Limits to Growth was authored by Donella Meadows, Dennis Meadows, Jørgen Randers, and William Behrens III. The study was commissioned by the Club of Rome and underwritten by the Volkswagen Foundation. The book can still be purchased, as can several updates. The original is also available online courtesy of the Donella Meadows Institute. The Club of Rome offers several reports, books and other information following up on the original study. Where Do We Want to Go and How Do We Get There? Turner also examined a number of reports, particularly by economists, which over the years have purported to discredit the limits-to-growth model. Turner found that the observed historical data from 1970 toclosely matches the simulated results of the “standard run” limits of growth model for almost all the outputs reported.